KusanagiGirl: I couldn't sleep through the night even if I wanted to! I couldn't sleep through the night even if I wanted to! I once read a blog or an article back in the day before Jellybean was born about a mom who hadn't slept in in all the years she was a mom (she had tween aged kids). I thought to myself, "Well, that's not going to be me!" I LOOOVE sleeping and sleeping in. But I'm coming up to 15 months of being a mom and look at me right now. It's 2:06 am and I've been up since 11:45 pm. 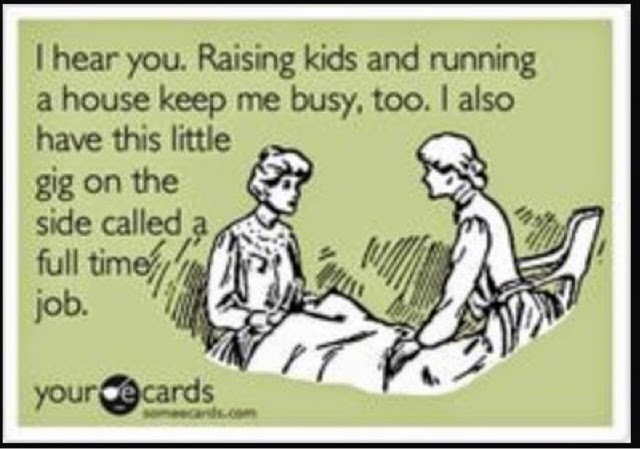 I have turned into that mom. I can't sleep through the night. Once the haze and fog of having a newborn with all her crazy sleep schedule passed, I found that I've been waking up every night and have been unable to go back to sleep for at least an hour (usually between the hours of 1 am and 3 am) for over a year! I groggily wake up at 6:15 am every morning and have to be on the go from that minute on. Jellybean isn't one of those kids who need an hour to wake up. She is asleep at 6:14 and 45 seconds, and then she's awake and standing up and jabbering away at 6:15 am. I hope I don't sound more negative than I actually feel. I do long for the days when I could sleep in, but I think my body has gotten used to it. I think I can operate just fine on 5-6 hours of sleep. When I catch up with mom friends, we always ask how we're doing in terms of getting enough rest. I think my friends and I agree that caring for an infant or toddler is not difficult per say, but having to make the adjustment from one lifestyle to another is the hard part. Now, see? Writing this post has made me sleepy. Yay! Good night, World! Big, Big News! Baby #2 on the way!! !